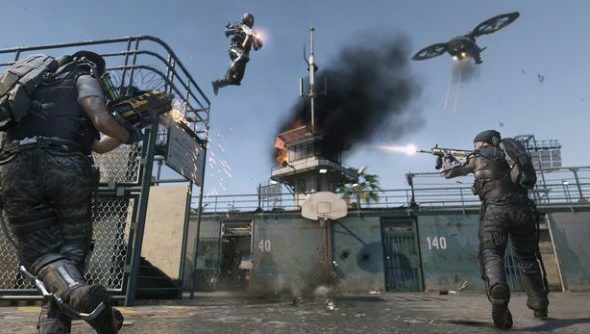 What has an extra year in development done for the latest Call of Duty, Advanced Warfare? Well: it’s ensured we haven’t been lumbered with a load of maps ill-built for its boost-jumping exo-soldiers, for one thing. Over the course of two years, Sledgehammer’s single and multiplayer teams traded and adapted to each other’s ideas. Sledgehammer first designed their multiplayer maps in the traditional CoD form – before it became apparent that their campaign’s super-soldier shtick wouldnecessitate a major rework. “Maps took two years because first, you get to design them the way you know, then you’re playing and playing constantly,” studio boss Glen Schofield told Digital Spy. “Then as the boost jump started to solidify more, then it’s like, ‘Oh, they can get on the roof’. Advanced Warfare is out on November 4. You’d be forgiven for missing it in a crowd that now includes Assassin’s Creed: Unity and Dragon Age: Inquisition. What does November hold for you?